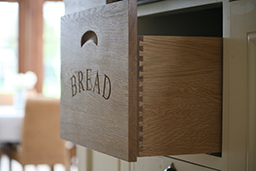 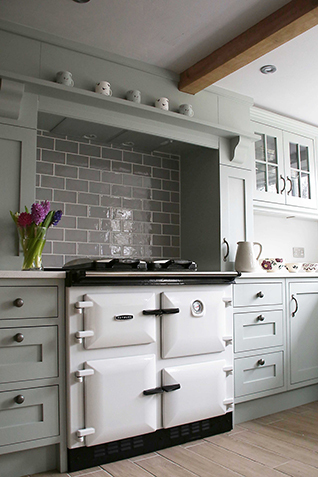 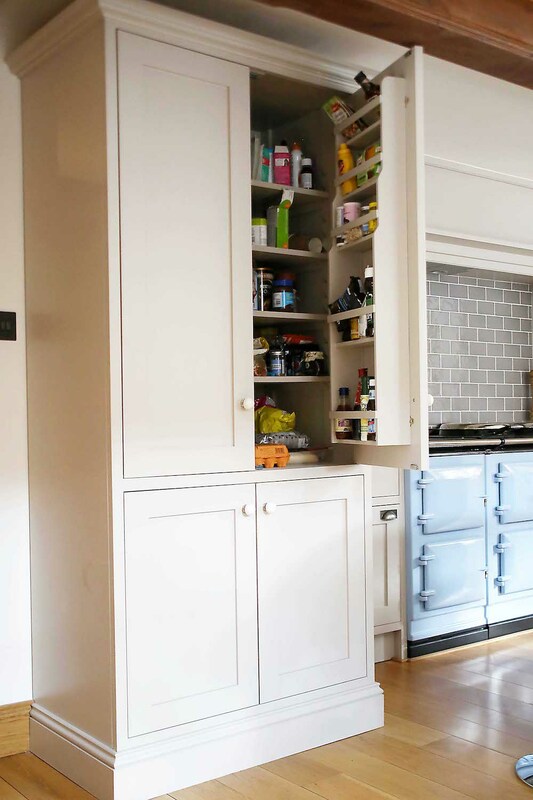 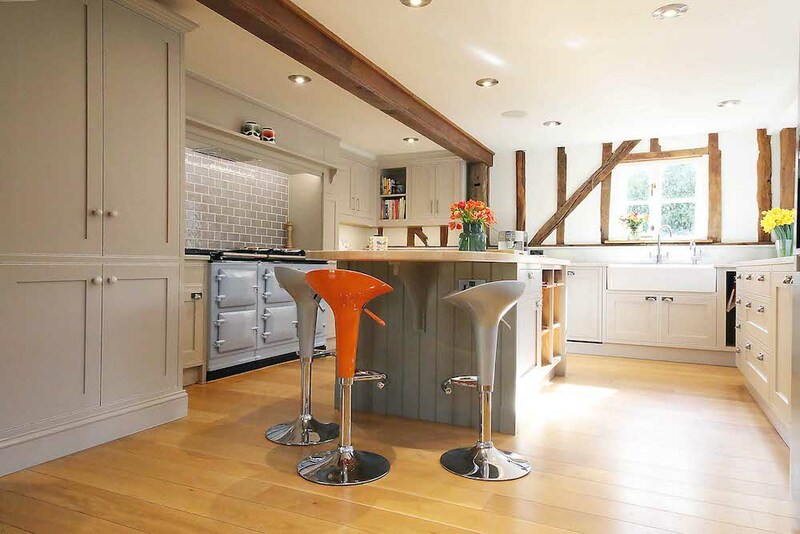 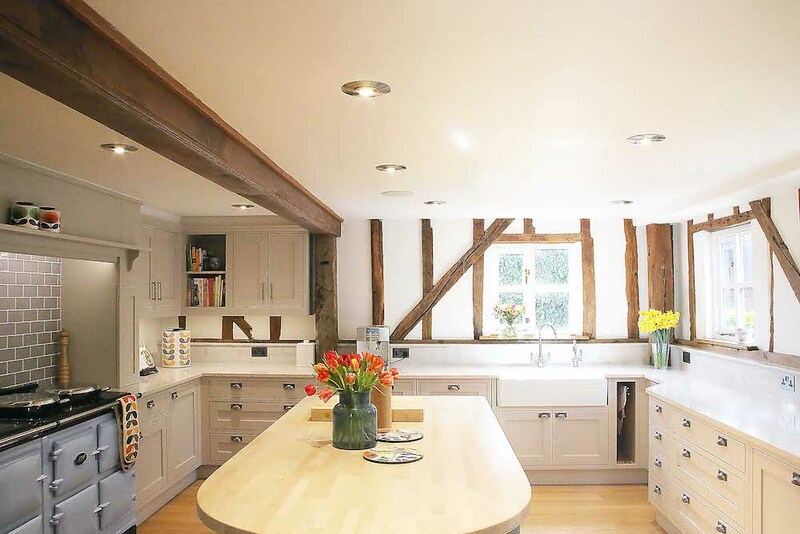 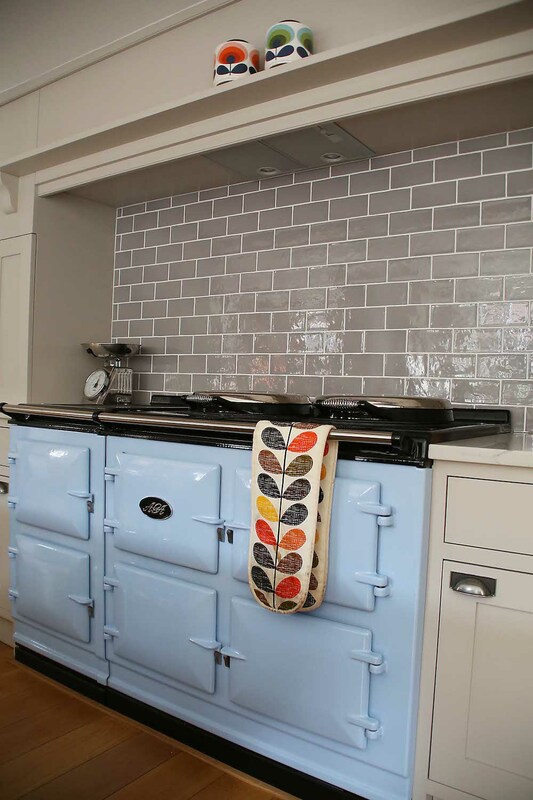 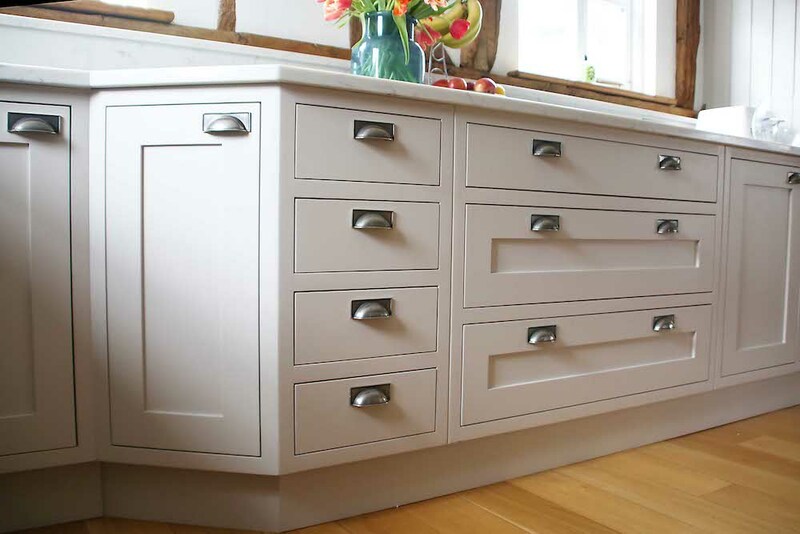 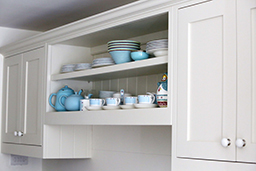 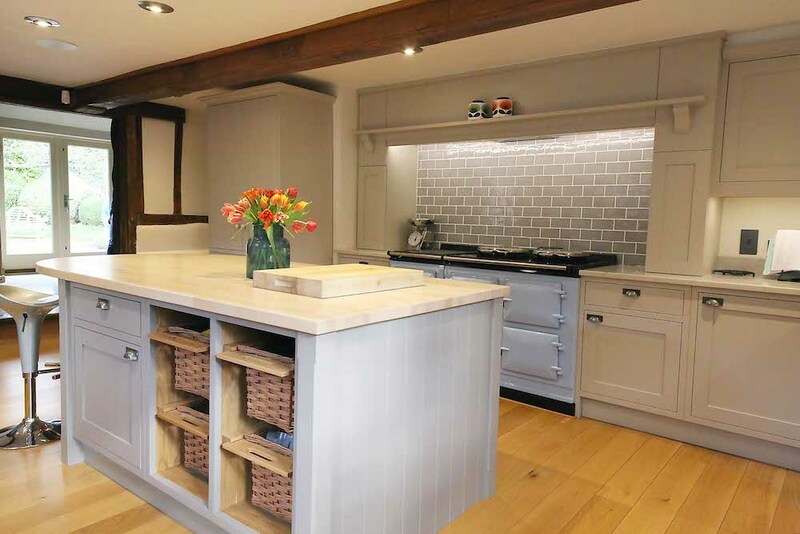 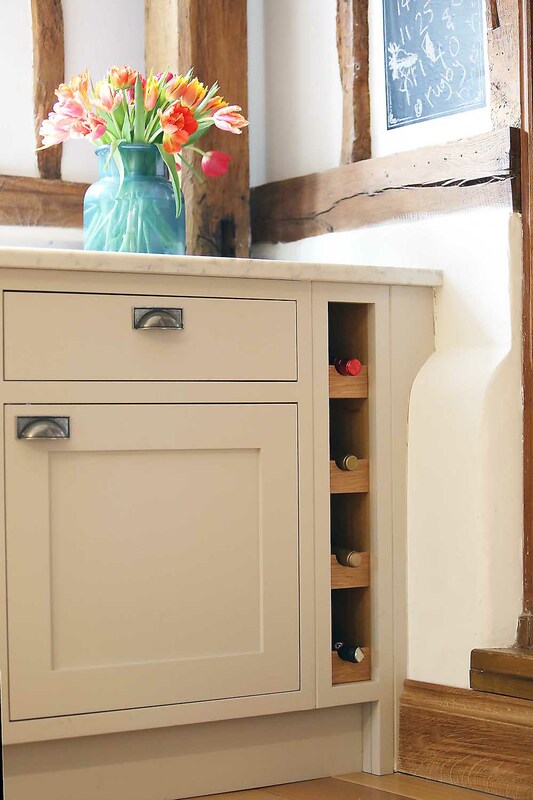 The simplicity of this shaker style kitchen and utility room compliments this 18th Century barn conversion. 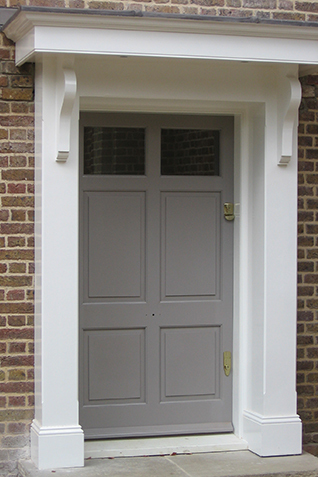 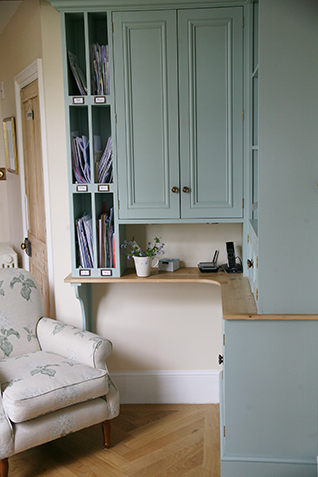 Painted in Farrow & Ball ‘Elephants Breath’ and ‘Charleston Grey’. 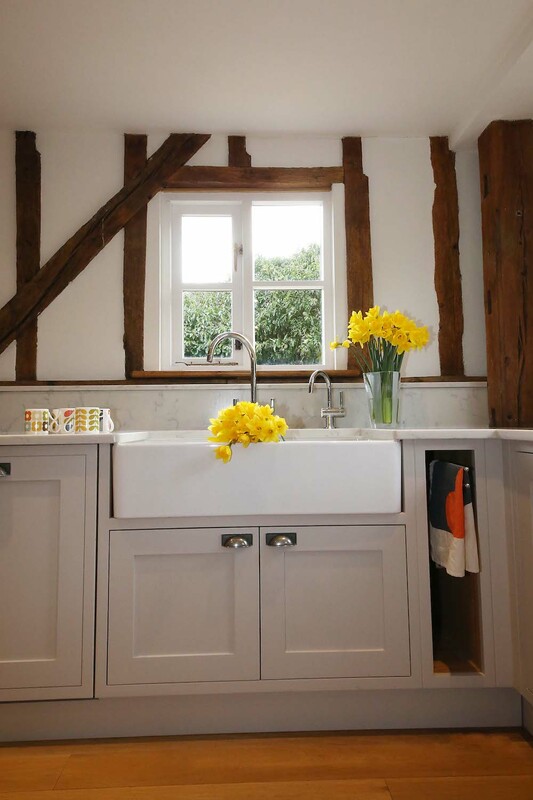 The pale calm colours are a great backdrop for pops of bright colour creating a light airy contemporary space in this traditional home. 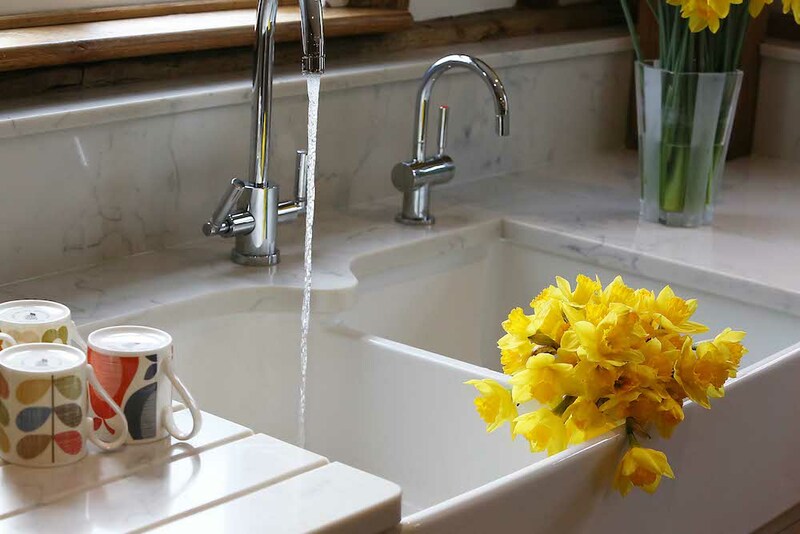 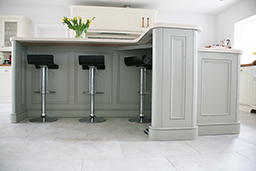 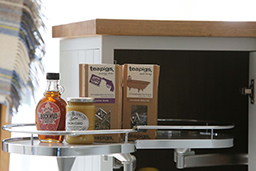 Worktops are a contrast of Unistone Onyx a marble look worktop and a pale Oak island worktop. 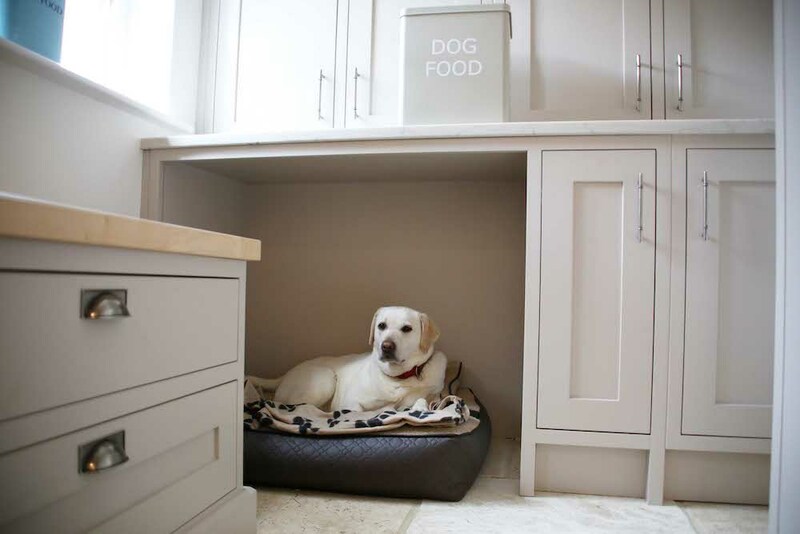 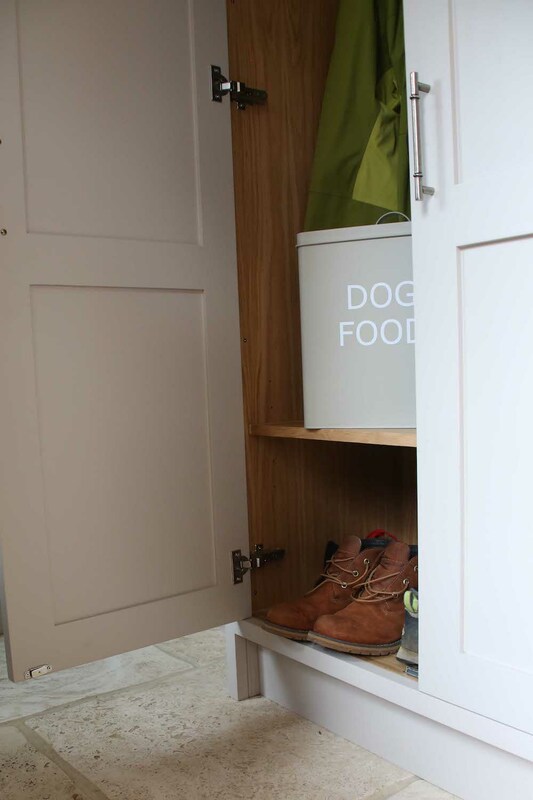 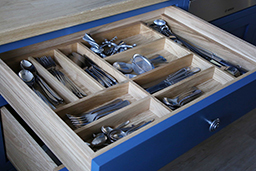 The utility room offers ample storage as well as a dedicated space beneath the units for the dog.